James Barton’s college baseball career is proof God is always working in our lives, whether it’s the way we envisioned or not. 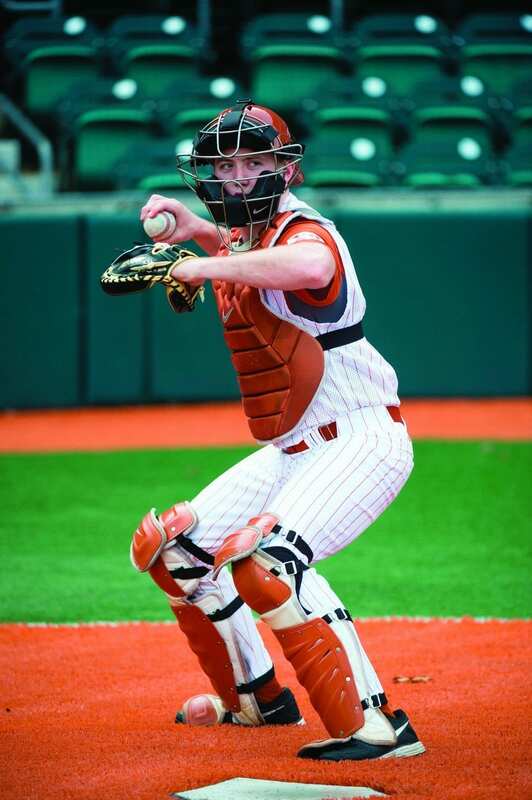 An all-state and all-central Texas first team catcher born and raised in Austin, Texas, Barton was a known threat and frequent leader in Central Texas high school baseball. On any given spring day, his name was inked on multiple leaderboards in the local Austin-American Statesman newspaper. 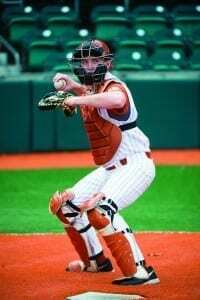 He topped the area in hitting as a sophomore, led in doubles as a senior and was named to the all-state tournament team his final year behind the plate for Hyde Park Baptist High School. The three-time team captain was no stranger to success on the high school diamond, and intended to continue his career on the collegiate level. He originally planned to attend and play at Baylor University, but felt God was calling him elsewhere. Lamar University offered him a significant scholarship. He received smaller offers to other schools. None, for some reason, were the right place. School-less after his senior year, the University of Texas was not even on Barton’s radar. 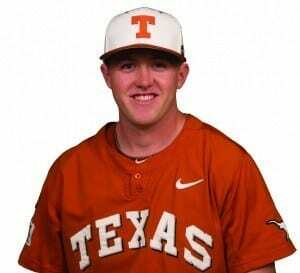 The Longhorns had long since signed two catchers his age, leaving no room or opportunity for a third. When the 2012 Major League Baseball draft rolled around, though, both were drafted high—and both signed pro contracts. One strong tournament showing later, the coach’s tip proved to be true. On July 1 following Barton’s senior year, he received and accepted an offer to play for the Longhorns. A strong Christian, Barton believed the Lord had him at Texas—the country’s largest public university, known for its party scene—for a specific reason. His answer came in the form of senior catcher Patrick Marsh. Marsh played a part in starting up a team Bible study in the fall of 2010, partnering with Campus Crusade for Christ to establish a weekly meeting for interested teammates. Encouraged by Marsh and convinced his roster spot was a calling, Barton sought to play ball with purpose. In fact, Barton’s time on the field has been limited. And the team loves him. Barton’s genuine charisma and natural leadership gave him instant impact on the team and in the locker room. Through that openness, Barton shared his faith with his teammates. He came alongside Marsh and helped plan a Bible study each week, inviting their teammates along the way. “We prayed every week that God would just multiply our three to six. That would have been the biggest deal in the world,” Barton remembers. Slowly but surely, guys began to show. A new, receptive class of freshmen the following fall became regular attendees. The group met in apartments or, often, Barton’s parents’ home. They shared a meal, prayed for one another and then dove into their lesson for the week. 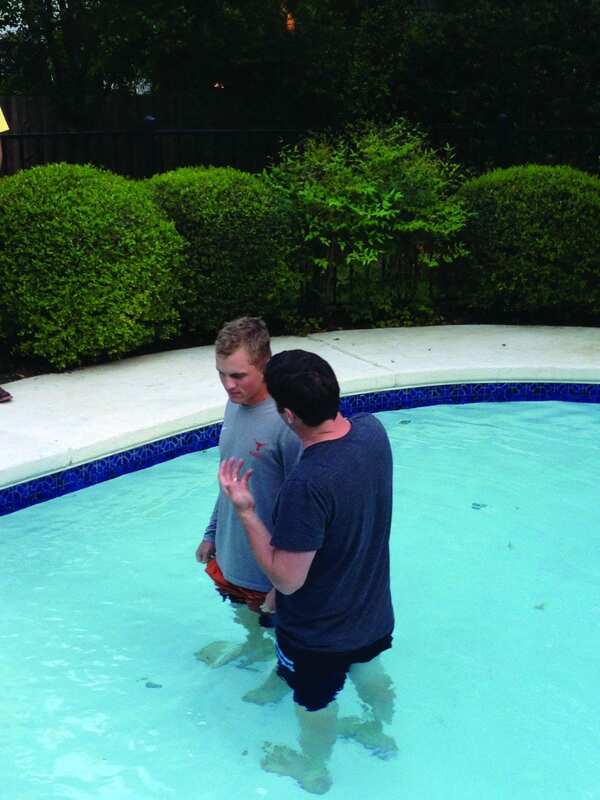 Countless prayers and one year later, 32 Texas baseball players (out of the 35-man roster) were gathered to celebrate the salvation of one of their seniors with a baptism in the Barton family’s backyard pool. “I tell people, for real, that unless something better than that happens,” Barton pauses, his smile wide with the memory, “that will be my most proud, greatest moment of college. Since Marsh’s graduation, Barton has taken leadership of “baseball Bible study.” The catcher has turned the sport he loves into a full-time ministry. With more than half the team now regular Bible study attendees, Barton has seen a culture change in the clubhouse. Players pray before games together, do devotionals on the road, and faith has become an open topic of conversation within the team. When the first pitch of any game is thrown, the focus becomes playing hard and well to glorify God; and most of the team attributed their late-season success and College World Series push in 2014 to the Lord, as well. Even so, Barton’s missionary role isn’t always easy or natural. Beyond the normal pressure of living a lifestyle in stark contrast to the vast majority of those around him, Barton has struggled with the extreme accountability that comes with ministering to guys he is with constantly. Instead, Barton says the situation has taught him about the importance of grace for himself and for others alike. He is not perfect, but he strives to set himself apart; and though Barton will be last to say it, the impact his efforts have had on the team is clear. 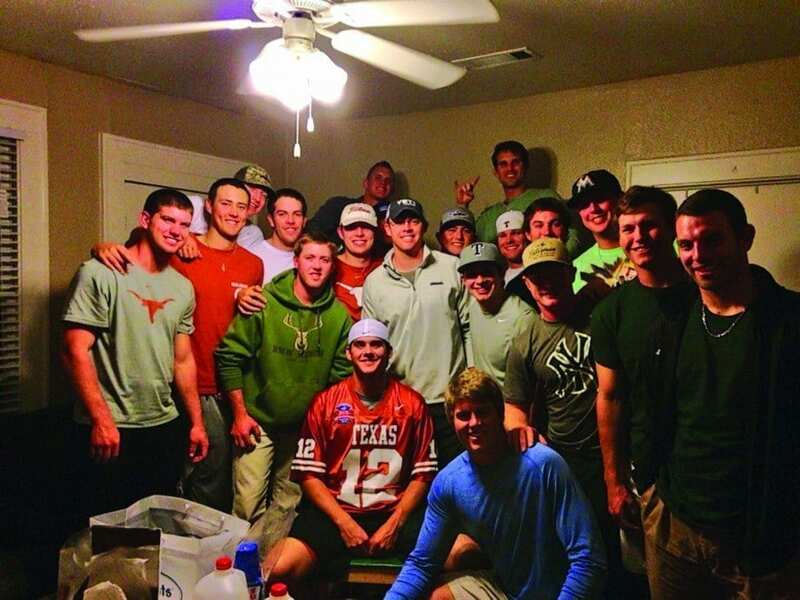 Barton’s college baseball career may have been a curveball, but his time and role with the University of Texas have proved his biggest win yet. Ryley Rush is a student at Liberty University and contributor to Sports Spectrum. This feature was published in Sports Spectrum’s Summer 2015 print issue. Log in HERE to view the issue. Not a subscriber? Subscribe HERE to receive eight issues of Sports Spectrum a year.